If your website was a city, there would be roads running through it. These roads are the “user flow” that visitors follow through your navigation. Some are very popular, just like highways. Some are not popular at all. These are the backstreets. The “top path” is the most common user flow. It’s the series of pages seen by your typical visitor. Every site has one. But not every website owner knows what it is. Let’s find the top path through your site. We’ll do this using three reports in Google Analytics. Then we’ll use the information to improve our marketing through a bit of user flow analysis. 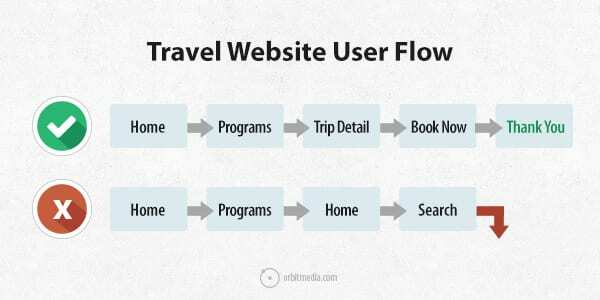 Finally, we’ll look at some user flow examples. The “Users flow” report is in the Audience section of your Google Analytics. Here’s what it looks like. Green boxes are pages (Google calls them “nodes”). Pages are labeled as URLs so “/” is the homepage. Curved gray lines show visitors moving from page to page. Red lines show what percentage of visitors exited from that page. The first column is the starting pages, the next is the first interaction pages, etc. The default view includes the “country” dimension, showing the user flow for people from different countries. You can change this to anything (such as traffic source or medium) but starting with the country is fine. 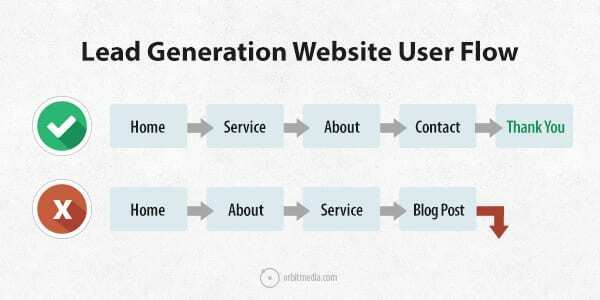 ProTip: If you want to look at the user flow for a specific type of traffic, such as visitors from search engines, mobile visitors or millennials, add a segment! You may notice that the homepage is not the entry point for many visitors. On a well-optimized website, the homepage is just one of many landing pages! The controls for the Users Flow report are simple, but they’re unlike any other reports in Analytics. You can pan, zoom or change the level of detail. To find your top path, click on one of the top pages. You’ll see a few options. “Explore traffic through here” – This filters the report to only traffic through that page, removing all other pages. “Highlight traffic through here” – This highlights all the traffic through this page, while still showing the other pages. After exploring and highlighting, you’ll quickly see your top path. On this site, it’s Home > Portfolio > Web Design (or back to home) > About (or back to portfolio). Here the user flow aligns with the order of the items in the main navigation. The goals of visitors and the objectives of the business are both met through this path. Looks good. But this is not always the case. The following example is a true story. Last week, I was helping a company with their Analytics. They have five menu items in their main navigation. Clicking any item shows a big drop down with between ten and fifteen options. The most popular path? The second item in the third drop down menu. A full 70% of their visitors clicked on that item from the homepage. Just imagine! If the navigation was an outline, that item would be 3.b, even though it’s 1.a in the mind of the visitor. The company didn’t know that this was such a popular option. They hadn’t done any user flow analysis. 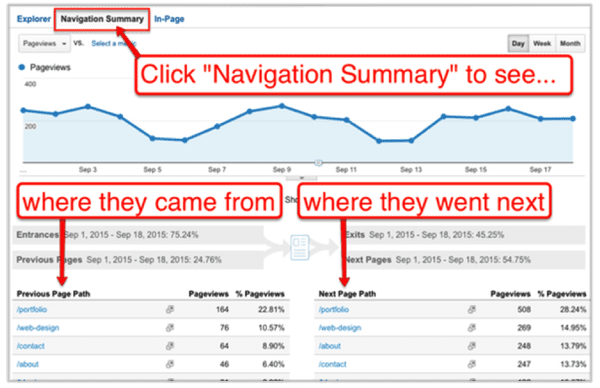 The second place to find user flow in Google Analytics is in Behavior > Site Content > All Pages. Every page in this report has its own “navigation summary” which shows where people came from and where they went next. Click on the top page and then click on “navigation summary” above the line graph. 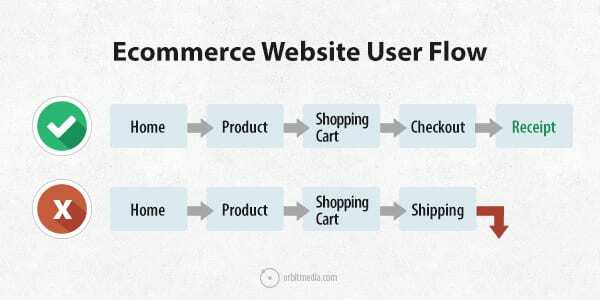 This is a user flow, but only for the end of the conversion process. So it won’t show the top path through the site, but it will show problems in the flow through the funnel at the end of a successful visit. 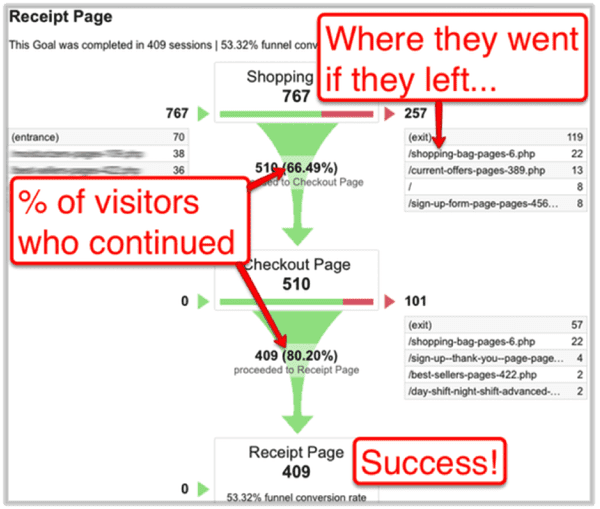 You can find it in Conversions > Goals > Funnel Visualization. It’s especially useful for multi-step conversion processes, such as account creation or an ecommerce checkout process. Note: This report will be active only if you have properly setup your Google Analytics goals. If people are abandoning a process, this report shows why. If many visitors leave to go to the same page, maybe they all had the same question. If you can put the answer to this question into the flow, you can keep visitors moving forward. 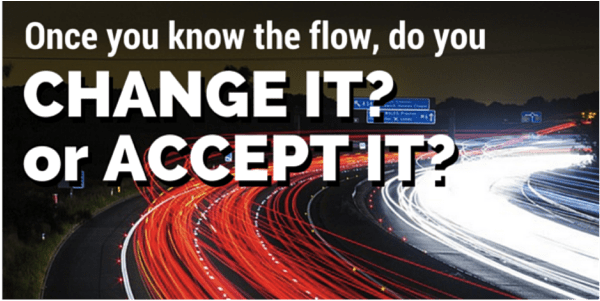 OK. Now that you’ve finished your user flow analysis, you have two options: change it or accept it. You were hoping that people were going from the homepage, to a service page, to the contact page. But you found out that people are going from the homepage to a search results page and then leaving …you’ve got a problem. If you want to change the flow, here are some tips. Everything you remove makes everything that’s left more prominent. If it doesn’t help both you and your visitors meet your goals, take it out. Note: Removing something from the main navigation doesn’t always mean removing it from the site. It may still be accessible through internal links on other pages, from the sitemap, or you can move it to the footer. If you have one, remove it and you’ll have better control over the flow. Drop downs often let visitors skip the top level pages, which may mean skipping valuable information. The goal isn’t to “save clicks” for your visitors. It’s to educate, build trust and trigger actions. Drop downs just don’t align with website navigation best practices. Links within your content are almost as important as your main navigation. They guide your visitors and help your search rankings. Here are tips for internal linking. End pages with calls to action, so visitors don’t have to go back up to the main navigation. There may be lots of dead ends on your website. Find them all, fix them, and guide your visitors forward toward conversion. The size, color and order of the items in your navigation (and in anything) will determine how visually prominent they are. Think about your most effective marketing assets. Your best messaging. The things that show you’re legit. They provide key information. They build trust. They impress. They tug on heartstrings. Now ask yourself: are your best assets visible from the main paths through the site? Are they there on the highways? If not, move them into the user flow. Put them right there on the top paths. Don’t hide that video on an unpopular page. Put it on the highway. Don’t put that gorgeous video testimonial on your testimonials page. In fact, get rid if your testimonials page. It’s not in your top path, is it? It never is. Scatter testimonials throughout your site. These are your best feet. Put them forward. You’d never spend money to put a billboard on a back road, right? Here are samples of top paths for several types of marketing sites, both good and bad. ProTip: To optimize the top path through a lead gen site, follow these best practices. If you haven’t asked your Analytics about your user flow lately, you should. 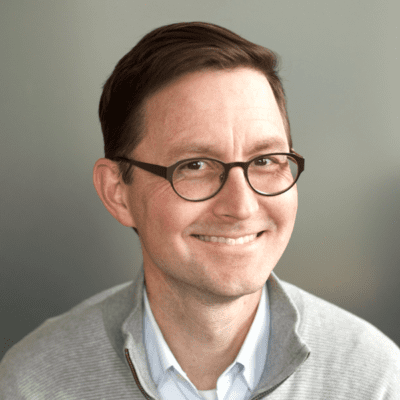 User flow analysis is the key to getting more value from your current traffic. Are your navigation and content working together to make this happen? Visitors are flowing through your site right now, as you read this. So rather than leave a comment, go find your user flow and direct some traffic! Good stuff… just what I was looking for! Really great post . Thanks for sharing . This is amazing Andy and perfect timing. I started volunteering for a non-profit and am responsible for their digital marketing. 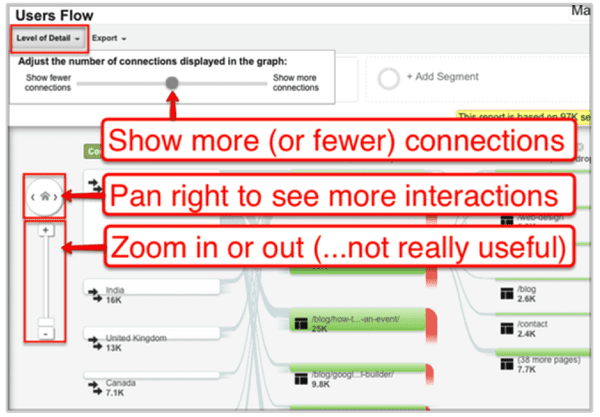 Previously I only knew the basics of Analytics but this post, in providing a deeper level understanding of how to understand visitor behaviors, will allow me to be of better value to the organization. Fantastic article, haven’t really come across any articles like this and yet it is such an important topic. I’m going straight to my analytics dashboard right now! Nice and concise … perfect, Many Thanks Andy! Could you please share your valuable inputs about Importance of Custom dimension items available in user Flow? 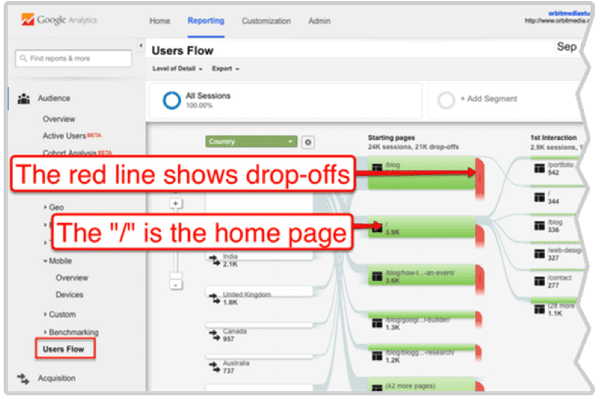 I rarely put it to use… Just to get drill down on user flow for specific page ; so is there any other usage for this feature I mean if you use it or in-case I am not able to understand this custom setting Value in GA! Thanks in Anticipation. 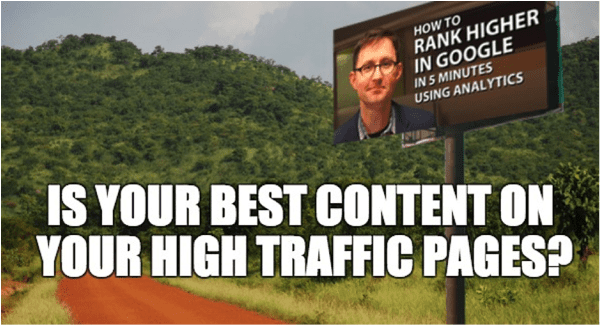 Thanks so much Andy for the User Flow post….Meeting with a client on Monday to go over his content, analytics, etc. Creating screen shots of his user flow will be so helpful when I’m explaining how people traverse his site. I don’t usually check user flow on Google Analytics, but after reading you post about it, I just realized that this is important if I want to analyze the bounce rate of our site. Coupled with site search, this can be a pretty powerful approach. Making money online is something that quite a lot of people to aspire to achieve. The article helps in identifying the areas that one needs to concentrate on in order to make this possible without much hassle. The floor plan with the most popular items near check out for in and out, the traffic for other important but not so in and out quick to fix pushed a little further to prevent a bottle neck or bounce. This navigation and the clicking clock makes you consider more thanks to your blog post. Love it. Why, in Report #2 are, “where they came from” and “where they went next” the same pages? I immediately started digging into user flows while reading this post. Thanks for creating such actionable, informative posts! Thank you Andy for a good post. I have a question: How does this works for single page application? I mean, let’s say the site has all the flows embedded in one page and users scroll down to complete their next step in the flow. Can we get same insights as you explained here?